Dr. Michael Scherer is an Assistant Clinical Professor at Loma Linda University, a Clinical Instructor at University of Nevada – Las Vegas, and maintains a practice limited to prosthodontics and implant dentistry in Sonora, California. He is a fellow of the American College of Prosthodontists, has published articles, DVD training series, and full‐online courses related to implant dentistry, clinical prosthodontics, and digital technology with a special emphasis on implant overdentures. 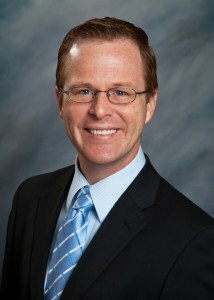 As an avid technology & computer hobbyist, Dr. Scherer’s involvement in digital implant dentistry has led him to develop and utilize new technology with CAD/CAM surgical systems, implement interactive CBCT implant planning, and outside of the box radiographic imaging concepts. Dr. Scherer also maintains five YouTube channels: “LearnLOCATOR”, “LearnLODI”, “LearnSATURNO”, “LearnLOCATOR F‐Tx” and “The 3D Dentist”‐ popular YouTube channels on standard and narrow diameter dental implant procedures and digital dentistry.